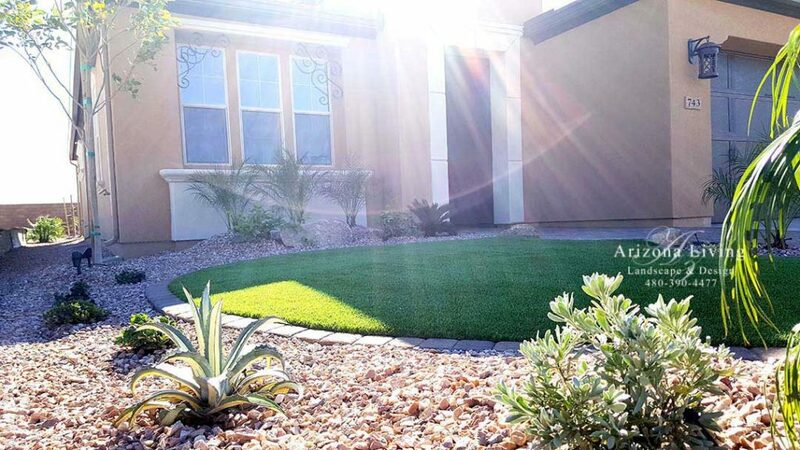 Front and back landscape design Encanterra in San Tan Valley, Az. This was a brand new home in Encanterra with blank yard. The customer wanted a tropical look with the low maintenance we look for in a desert landscape. 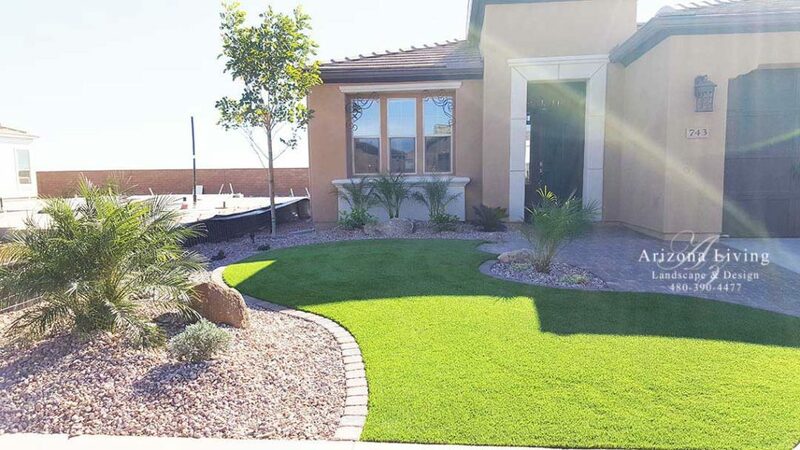 We installed an upgraded synthetic grass in both the front and back yards. 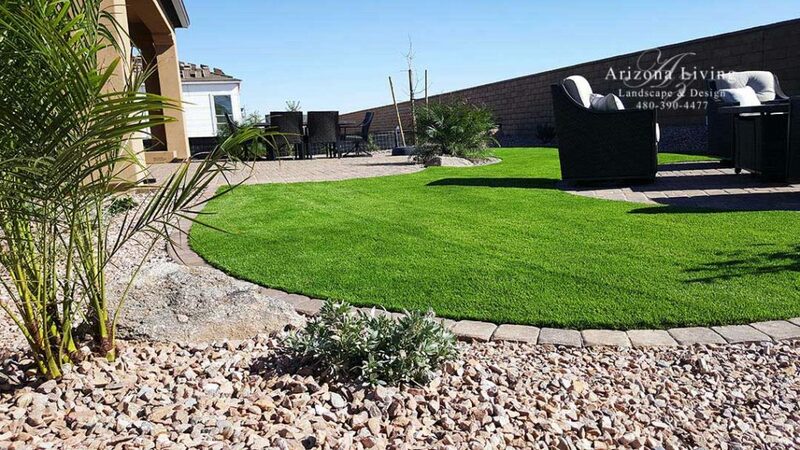 We wanted to create the look of a nice green lawn without any maintenance. The turf is soft and plush and feels amazing to walk on, in addition to being pet friendlly. The rock we installed was Apache Brown. We created soft contoured mounding in various areas of the yard with boulders for focal points and some depth. We planted Pygmy Palms with agave’s and ground cover. The back yard has a fountain in the back center to enjoy and relax. We installed a paver patio over the existing concrete patio and extended it out to create an entertainment area. This landscape turned out beautiful and a great place to sit and relax and enjoy the Arizona weather.